The Business World Student Workbook contains a full range of revision exercises to prepare students for the Leaving Certificate Business examination. • Revision Pit Stops containing unit-specific Applied Business Questions (ABQs) to further promote student recall across chapters. 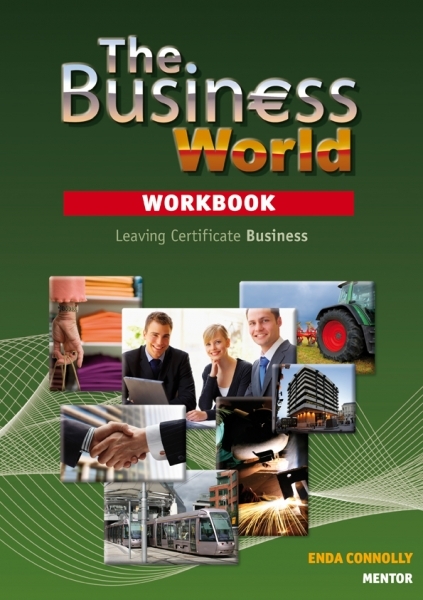 • A Guide to the Leaving Certificate Business Examination including valuable tips on correctly reading questions, managing time and writing effective answers to gain top marks. • Large selection of extra ABQs for students taking the Higher Level exam.